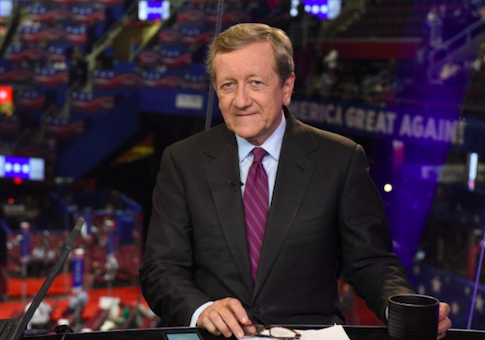 ABC News reporter Brian Ross announced on Monday that he is leaving the network. Seven months ago, Ross made national news when he was suspended for a flawed report on President Donald Trump’s former National Security Advisor Michael Flynn. Ross was suspended for a month without pay in December after falsely claiming Flynn would testify Trump had directed him to contact Russian officials during his campaign. Ross’s mistake hurt the stock market and led to a public apology from ABC. His executive producer Rhonda Schwartz is also leaving. They wrote a letter to ABC staff explaining their decision, Page Six reports. "After a great run of 24 years, we have decided to pack up and move on from ABC News, an organization that has meant so much to us. We leave with enormous gratitude for all those who supported us and helped build the industry’s most robust and honored investigative unit," the letter states. ABC president James Goldston praised Ross and Schwartz’s work, stating in a memo that "they’ve exposed government corruption at every level, international human rights abuses and fraud, uncovered dangerous working conditions, sexual abuse cover-ups and dishonest business practices." "They should have fired him for what he wrote. He drove the stock market down 350 points in minutes, which by the way, tells you they really like me, right? When you think of it, and you know what he cost people? And I said to everybody: ‘get yourself a lawyer and sue ABC News, sue them.'" "It's time to say good-bye after 24 years at ABC News, an organization that has meant so much to us," Ross tweeted. "While Rhonda Schwartz and I are signing off from ABC News, we are hardly leaving investigative journalism. There is much more to do." It's time to say good-bye after 24 years at ABC News, an organization that has meant so much to us. While Rhonda Schwartz and I are signing off from ABC News, we are hardly leaving investigative journalism. There is much more to do. Flynn served as Trump’s national security advisor for less than a month in 2017. In December he pleaded guilty to lying to the FBI about contacts with former Russian ambassador Sergey Kislyak. He is one of the highest ranking officials charged in special counsel Robert Mueller’s investigation of Russian interference in the 2016 election. This entry was posted in Culture and tagged ABC, Media. Bookmark the permalink.